Hello, friends! Hope everyone had a wonderful winter break and started 2018 with great foods! We surely did! And as I write, we’re actually indulging into a bar of an awesome pure dark chocolate from Choba Choba (thanks guys for creating these wonders)! 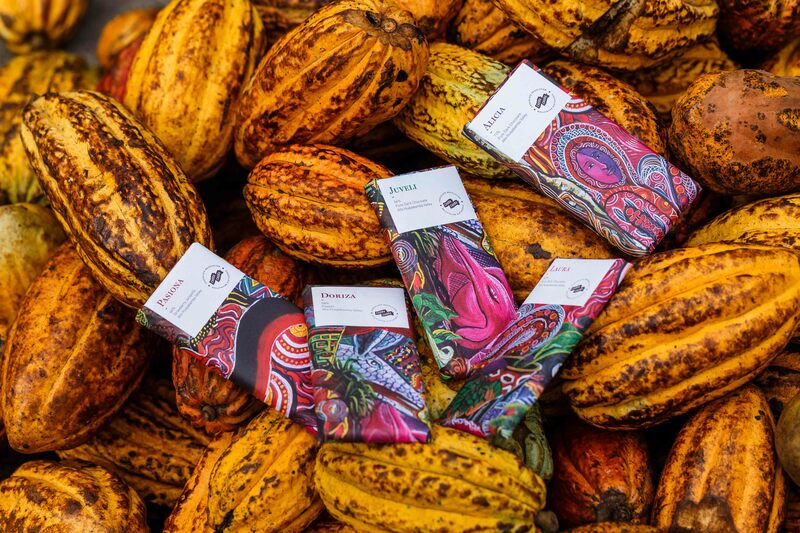 As you know, we are big, biiiig fans of artisan, bean-to-bar chocolate and our excitement to meet the team of Choba Choba and learn about their chocolate revolution and achievements so far cannot be expressed in words… only bars of chocolate devoured ;-))!! 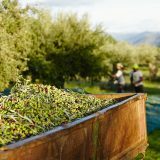 We let you discover their unique story below, in this interview with Eric, one of the co-founders of Choba Choba, and delight your senses with the photos until you’ll join the revolution and grab your favourite bar! FC: Hello Eric, please introduce yourself and tell us the story of “Choba Choba” and what inspired you to pick this awesome name? And what about the design & packaging? Hello! Well, I am one of the 38 proud co-founders of Choba Choba. 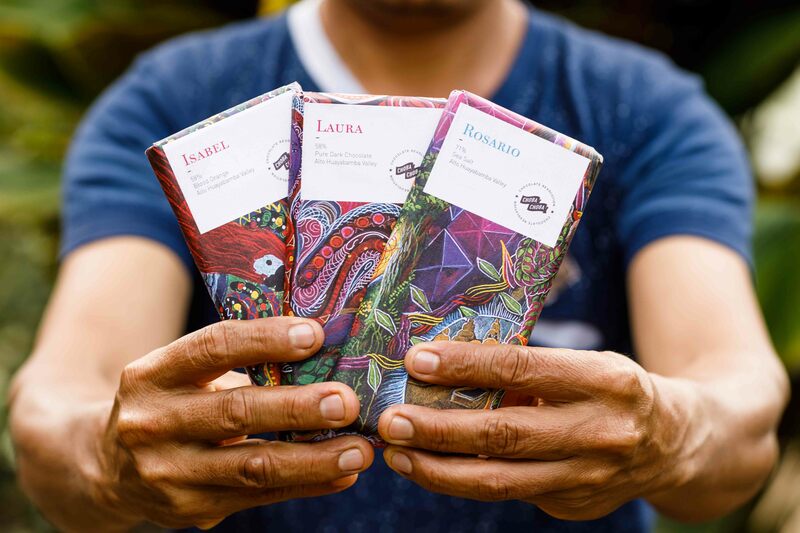 Two years ago, Christoph, my Swiss business partner and me (from France) decided to join hands with 36 cacao farmers from Peru and co-created together the first Swiss chocolate brand that is co-owned and co-managed by the farmers themselves. 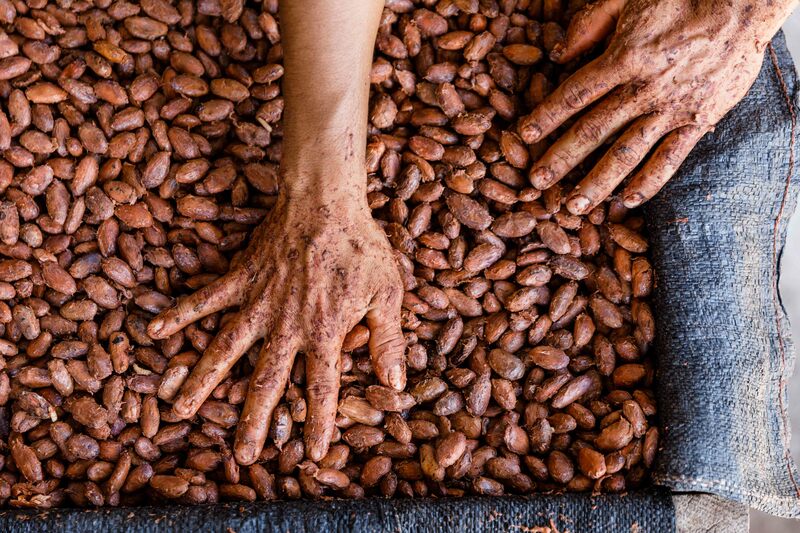 After having worked for almost ten years with these farming communities, buying their cacao under fair trade conditions and implementing sustainable programs, we and them both realized that the impact we were trying to create was not here yet… After 10 years! 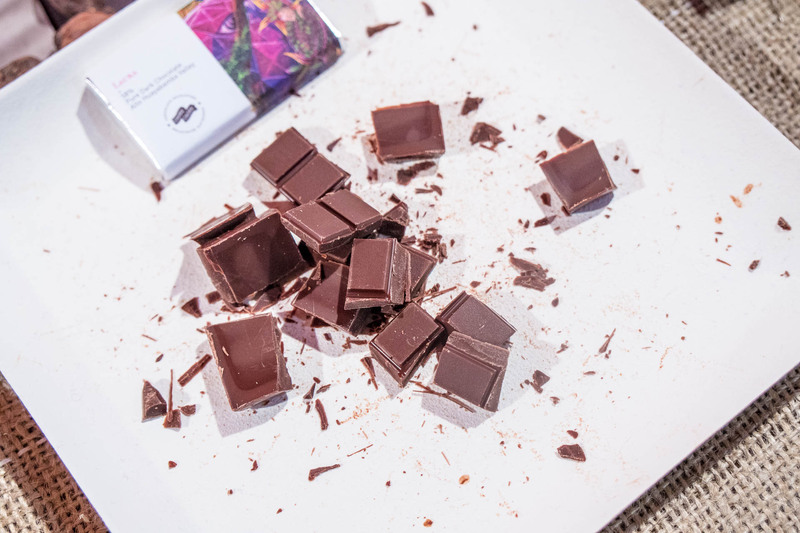 Was like a slap in the face… We understood together that we had to create a brand new model and prototype of a new form of organization where the farmers would have a real voice and would benefit directly from the growth and the performance of their own chocolate company. Now they are not anymore considered as raw material suppliers at the very end of a totally unfair value chain, instead they sell their own chocolates directly to the consumers. Our name “Choba Choba” is a Quechua term that means “I help you, you help me”. 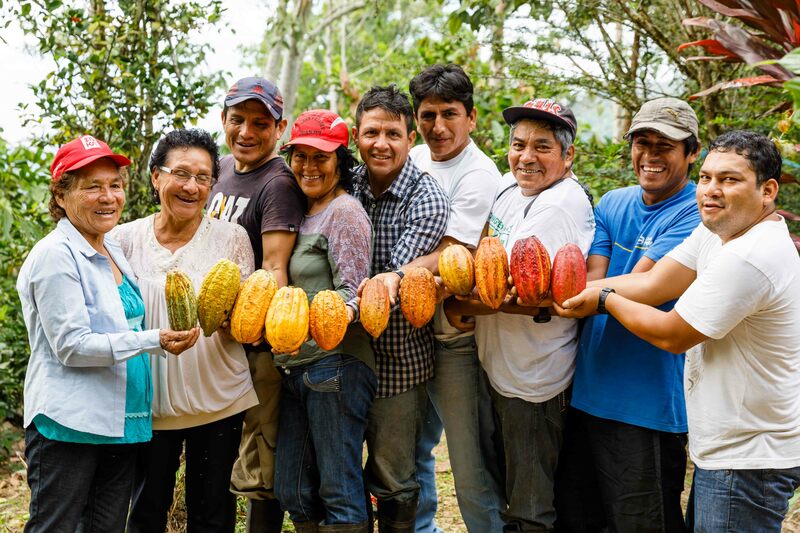 It is a perfect illustration of our mission: building a community of changemakers gathering cacao farmers from one side and chocolate lovers on the other side. Our design is the fruit of the amazing work of Peruvian artist Pablo Amaringo who passed away in 2009. We contacted his family and foundation in Peru in order to have the right to use this magical and colorful painting: “El Encanto de las Piedras”. For us it is a tribute to the beauty and powerful energy of the Peruvian Amazon. 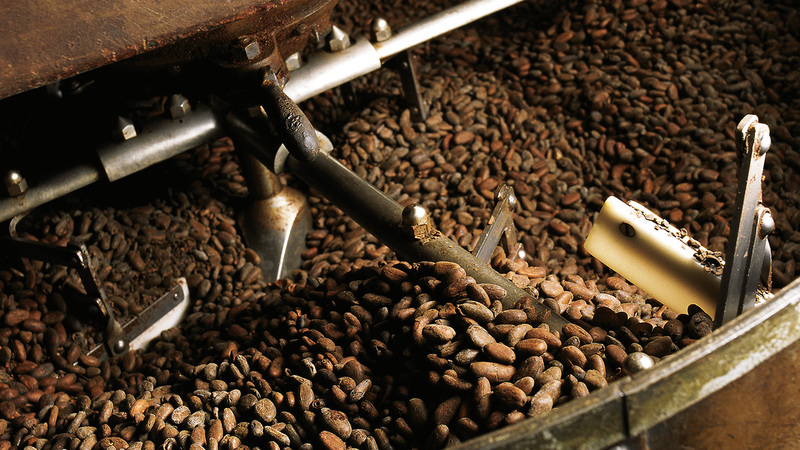 FC: Tell us more about the different types of cacao beans you are using and how you select the producers you work with and find new ones? 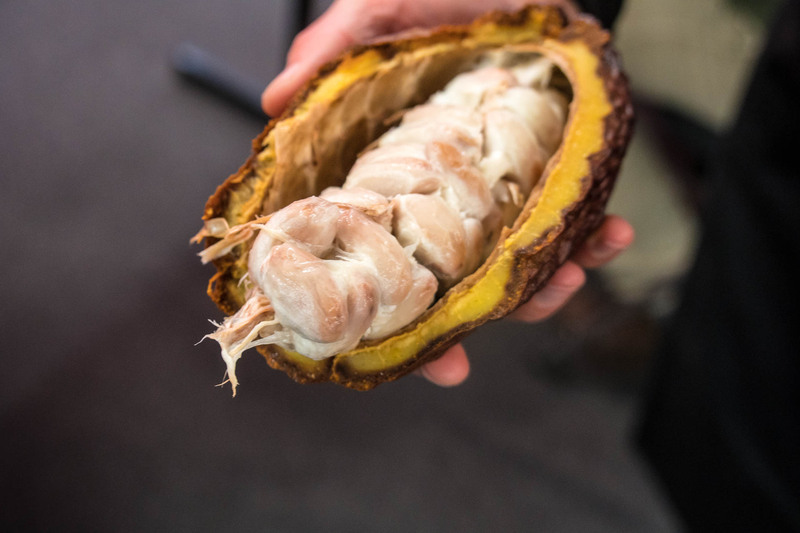 First, it’s important to understand that around the world there are hundreds of different cacao varieties, each one with specific characteristics. 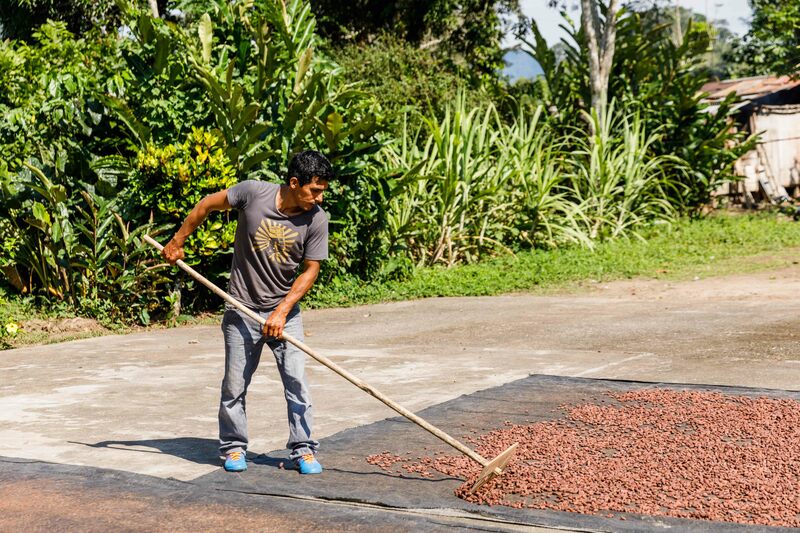 So far, on our small farms in Peru, we focus on the harvest and process of 3 different cacao varieties or let’s say “collections”. First, a fruity Trinitario very present in this area, then, a special cacao that can only be found in the Alto Huayabamba for the good reason that it was bred by one of the Choba Choba farmers himself (we call this cacao “Coleccion Yoplac Pucallpillo”), and last but not least our Nativo Collection. More than a specific cacao, this collection comprises of about 50 different local varieties that we know very little about until now. Some of them were found in the jungle of the Alto Huayabamba, others growing naturally on the farmers’ fields: a real treasure yet unexplored! 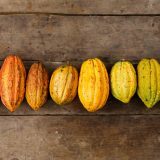 The reason why, back in November we launched a great project called “Nativo Project”, aiming to preserve and study this amazing treasure… with the idea of creating in the future single variety chocolate (as we always do) out of the best of these varieties. A long term journey and an amazing adventure that we kicked off with our community through a crowdfunding campaign on Wemakeit. More than 140K CHF collected from more than 1000 backers, making this campaign the most successful ever on Wemakeit in the food category. People are definitely willing to support a different chocolate world. 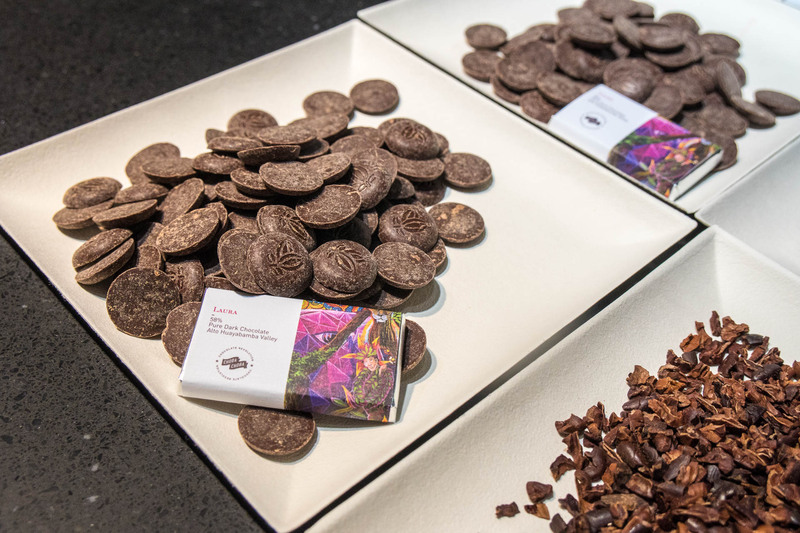 FC: Chocolate is a big and saturated market in Switzerland. What are the biggest challenges to grow as a business and what makes you stand out? Switzerland is the country of chocolate and yet it is still very traditional, classical if we compare it to the US for example where dozens (literally!) 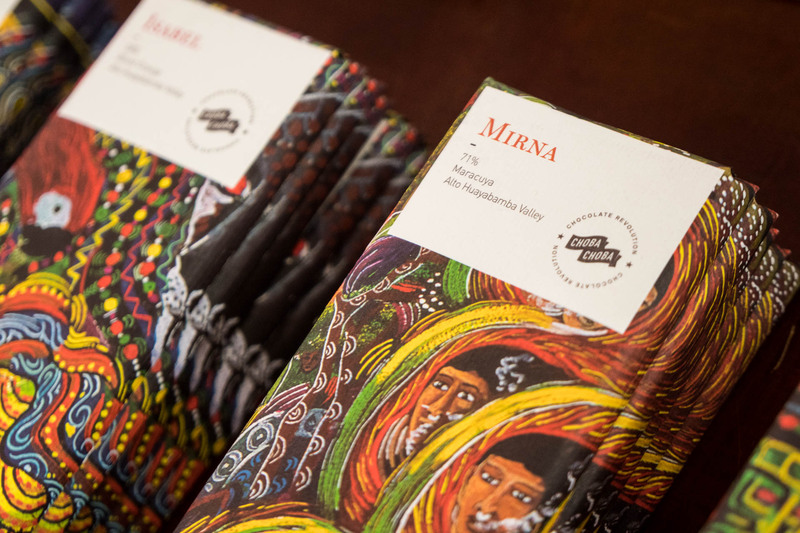 of small chocolate brands were created in the past 15 years, putting the light on the bean to bar approach or on the importance of the traceability, the origin, the sourcing. Here in Switzerland, such a movement almost doesn’t exist (La Flor and Garçoa being beautiful exceptions) and without much novelty or innovative players around, it is definitely a good environment for a crazy project like Choba Choba. We thought: our project is unique, let’s shake this good old Swiss chocolate industry. 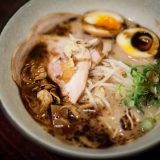 FC: What are the most exciting/fun/unique flavour mixes you’ve made so far? Doriza! Our chocolate with pepper. No doubt. It is one of the first Choba Choba chocolates we ever crafted and we used A LOT of pepper in the first recipe. People loved it or hated it. Some clients were even calling us to ask if a problem happened during production. But no, we just thought that this chocolate had to be a bomb. And it was… After many discussions we finally decided to lower a bit the quantity of pepper. Unfortunately this chocolate is probably still too “weird” as very few people are actually buying it… As we always want to listen to our community, we will soon (sorry for the bad news!) take it out of our chocolate range. We know some consumers will be disappointed not to be able to buy this crazy chocolate anymore, but who knows, we will surely come back with a third recipe one day! 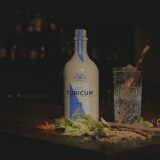 FC: Besides all the hard work, while traveling to Peru or inventing some new flavours, I’m sure you’ve had some funny/weird moments – any anecdote that comes to your mind? FC: What’s next for Choba Choba, any future projects in the pipeline? We always have plenty of plans and projects at Choba Choba. The Nativo Project that we kicked off is obviously just starting. Next year we will invest in a conservation center in Peru and make a detailed and scientific inventory and analysis of all these precious cacao varieties. 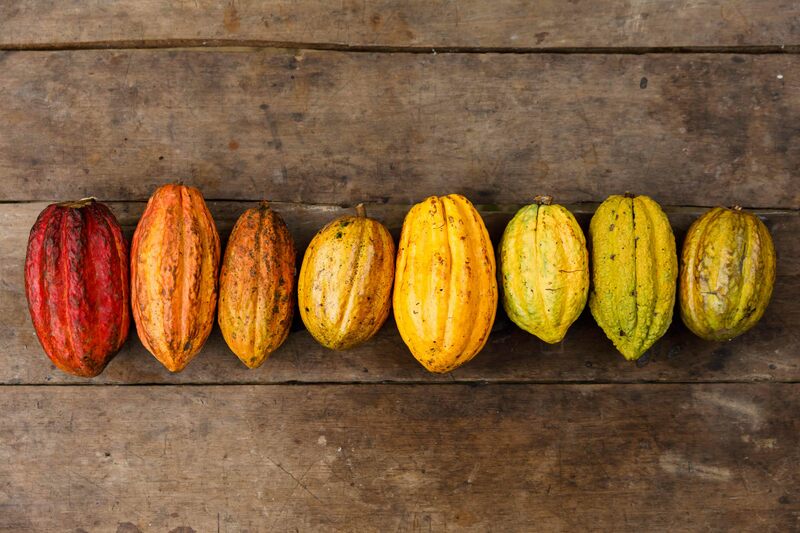 Year after year we will know more about each variety, replant them and produce very special chocolate creations. We want our community to taste all this and co-create with us the future of Choba Choba chocolates. Another big project we have is also to develop the retail channel. Until recently we were only selling our products on our own WebShop but many people kept asking us when we would be present in physical shops. Now we are! 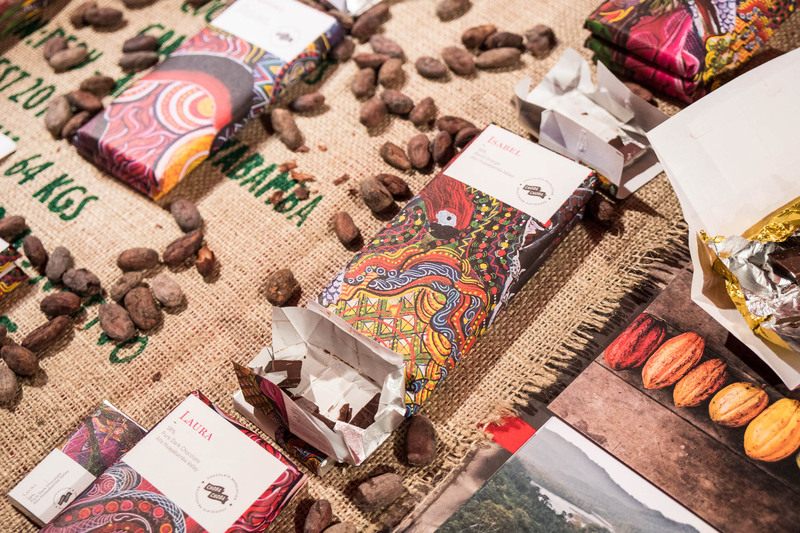 You can find Choba Choba in Basel at Xocolatl or in Bern at Feinfracht. Next year, we want to be present in many more shops all over Switzerland so that people can find us everywhere. Going international is also something we have in mind and we started this year to sell chocolate couverture to chefs, hotels and confiseurs. All this will allow our Chocolate Revolution to touch a wider audience and create an even greater impact for our farming families in Peru. FC: To finish, what advice would you give to anyone who wants to start in the artisan chocolate business, but is too scared, doesn’t have time/money, or simply doesn’t know where to start from? I think just like any project, the starting point is passion. Passion drives our capacity to work hard and achieve our goals. It is surely scary to jump in the unknown but very exciting at the same time. More than anything else, I would recommend to always cultivate a collaborative approach and mindset. It’s very unlikely that you will have all the expertise, know how and experience required to do everything by yourself so you should put a lot of efforts in finding the right partners internally and outside your structure. Co-creation is a strong part of Choba Choba’s DNA as I believe it is the most efficient way to achieve our mission. Involving a global community of changemakers in the development of our crazy project: consumers, partners, chocolatiers, investors, chefs, universities, shops, institutions… Change starts with the individual, then with the organization, but it takes cooperation and communal effort to make it really happen! FC: Thank you so much, Eric!